Steve Cannady scored 20 points to lead Pallotti to a semifinal win over Bullis at the Bullis Holiday Invitational. The St. Vincent Pallotti boys basketball team is surging as the Panthers won their sixth consecutive contest on Saturday and will play in the championship game of the Bulls Holiday Invitational, Sunday evening, against Wilson (DC). To reach the final the Panthers (7-3 overall) knocked off previously unbeaten and tournament host Bullis (7-1), 78-73 in double overtime, on Saturday, behind a 20 point effort from senior Steve Cannady, a Wheeling Jesuit (WV) commit. Pallotti held a slight 32-29 lead at the half, but Bullis made up the three point difference over the final two quarters to send the game into overtime. Both teams scored five points in the first extra session, but Pallotti doubled up the Bulldogs, 10-5, in the second session to take the win. Amir Warrick, who scored 14 points and grabbed six rebounds, came up with two huge blocked shots in the second overtime to help the Panthers create separation. Ronnell Giles added 12 points and four assists, Gilbert Otoo had eight points and nine rebounds, Kyron Martin added 11 points and six rebounds and Miles Mallory netted 10 points and pulled down five rebounds, as the Panthers got production from multiple sources. 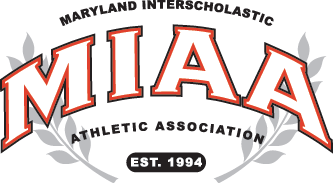 Since losing to Charlotte Christian (NC), 62-58, in the opening round of last week’s Gonzaga DC Classic, Pallotti has defeated St. Maria Goretti and Riverdale Baptist to finish 5th at Gonzaga, Glenelg Country and Gilman in MIAA A Conference play, and Good Counsel and Bullis this weekend.